Scorpion Events – New website http://www.scorpionevents.co.uk is Up and Running! We have added a lot more in depth information compared to the previous site, as well as case studies and an extensive portfolio. We hope you will found our site to be an enjoyable and informative experience. For all your event management requirements. 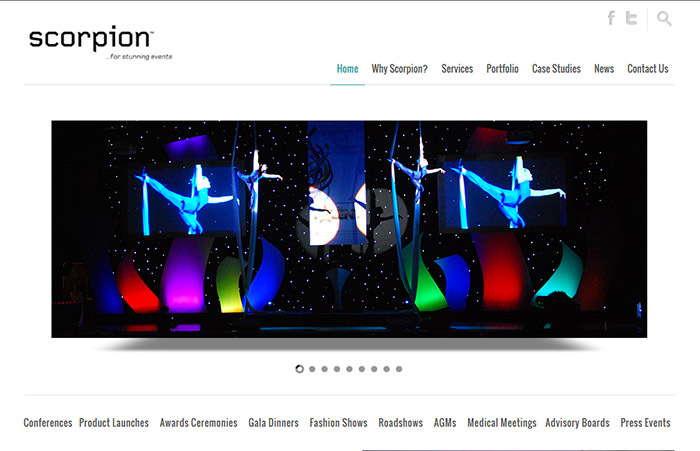 Please contact us at Scorpion Events. Send us a message and we'll get back to you as soon as possible with the information you require. Just fill in the white boxes on the right with the relevant info.